A F amily Limited Partnership or FLP is a legal tool designed to centralize a family business or family assets into a single holding entity for asset protection and tax savings. 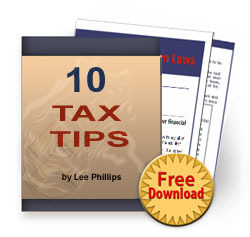 FLPs unique tax ability can be used to minimize estate taxes by transferring FLP shares between generations, at lower tax rates than would be applied to regular partnership’s holdings. 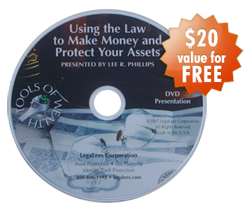 In some respects, FLP’s asset protection capabilities are better than a corporation. They are based on the concept of a “charging order.” A charging order protects assets of the FLP against creditors of the individual partners. For “family” planning, the Uniform Family Limited Partnership Act (2001) has many advantages. So if you need to protect the family business or the family farm or other family assets from creditors, consider using one. A partner’s creditor can come in many forms. It may be the family who wins a lawsuit against you because of a trampoline accident, or the man you owe money to, or perhaps a bank that is foreclosing on an underwater delinquent property. The object in this article is to show you how to use the Family Limited Partnership (FLP) to protect your family assets. One of the advantages of using a Family Limited Partnership (FLP) over a corporation is the fact that when you or another partner gets in trouble through a lawsuit or bad financial situation, the assets in the FLP will be protected. Sure corporations are powerful legal tools and are often used in preference to an FLP, but they don’t protect the company’s assets against personal liability. This isn’t a big deal in a big corporation, because if the creditor of one shareholder gets the shareholder’s stock in the company, the new owner of the stock can’t affect the operation of the corporation in any real meaningful way. However, in your little company, if the creditor gets your stock, the creditor effectively owns the corporation and all of its assets. Let’s say one of your children bought a piece of property and it is now underwater. They are losing their property. They will in all likelihood end up as a debtor with a large deficiency judgment against them. When a creditor gets the judgment, they will try to collect from all the assets your child has, including their interest in the FLP. Many people hold their rental properties in an LLC. Let’s say your child’s underwater property is held in an LLC. That should mean that the deficiency can only be satisfied from the assets held in the LLC. That’s want you’ve been lead to believe. You are right, if the loan was given only to the entity, but most mortgages require personal signature from the owner of the entity. If your son signed personally, the creditor can look to the entity for satisfaction, and also all of his other assets as well. Those assets will include his stock or his interests in partnerships, Family Limited Partnerships, and other LLCs. Whenever you are signing a loan, think who will be liable. If you sign as general partner of the FLP, you are personally liable. If you sign with your spouse, you are both liable. If you sign as corporate president, you are not personally liable. You need to limit the liability for the loan wherever possible. If at all possible, never have both spouses sign. If only one spouse has signed, then the assets of the other spouse should be outside the creditor’s grasp – at least in common law states. For asset protection it is always a good idea to separate ownership of assets between husband and wife. With the assets separated, all of the family assets are not at risk when there is a problem. However, this does not work in a community property state, because by law both spouses are considered to be one ownership unit. In the above scenario, suppose the family assets are held in a Family Limited Partnership (FLP). When the child’s creditor tries to collect his debts, the best your son can “offer him” is his interest in the Family Limited Partnership (FLP). There are laws to protect limited partnership interests from the creditors of the individual limited partners. These are called “charging order laws.” The bottom line is assets held in an FLP are largely protected from creditors of the individual partners (family members). How does this happen? Historically, when a creditor took a partner’s interest, that put the other partners out of business. It wasn’t fair to the other partners and hogtied businesses. To maintain business functions, the courts recognized that the other partners in the partnership had to be protected. So charging order laws were developed which protect the other partners by only letting the creditor get the right to any economic benefit the debtor partner had in the partnership, but the creditor did not get any control. The creditor could not affect the management of the partnership or directly access any of the assets of the partnership. The Uniform Limited Partnership Act, which governs FLPs in most states, was updated in 2001. The Act clearly makes the creditor’s only remedy a charging order. There isn’t any transfer of rights other than the economic interest, i.e., the expectation of a distribution of profits. The bottom line is, even if you know the lawsuit is coming, you can start putting assets into Family Limited Partnerships to protect them. If this is done and the FLP documents are written properly, the assets can even be protected from the bankruptcy trustee. The most the bankruptcy trustee can do is get a charging order. The state’s fraudulent conveyance laws will control, but there is still a good chance you can comply with the fraudulent conveyance laws and get the property out of the creditor’s reach. Family Limited Partnerships are one of the most powerful asset protection tools an attorney has. Their unique asset protection capabilities are based on the concept of a “charging order.” A charging order protects assets of the Family Limited Partnership against creditors of the partners and keeps the Family Limited Partnership intact.